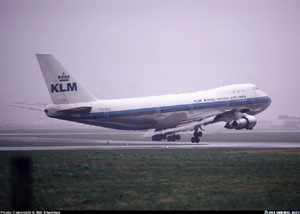 Both aircraft - KLM Flight 4805, a Boeing 747-206B, Reg. No. PH-BUF; and Pan American (Pan Am) Flight 1736, a Boeing 747-121, Reg. No. N736PA, - had been diverted to Los Rodeos Airport on the Spanish island of Tenerife in the Canary Islands due to a bombing at the airport at their final destination, the neighboring island of Gran Canaria. Later, when flights to Gran Canaria resumed, the aircraft collided on the runway in Tenerife as the KLM Boeing 747 initiated a takeoff while the Pan Am aircraft was using the runway to taxi. The Spanish investigative authority, Subsecretaria de Aviacion Civil, found that the fundamental cause of the accident was the KLM captain: 1. Took off without clearance; 2. Did not obey the "stand by for take off" direction from the tower; 3. 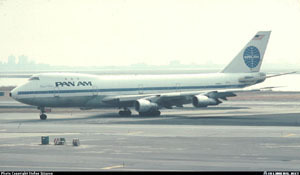 Did not interrupt take off on learning that the Pan Am aircraft was still on the runway; and 4. In reply to the KLM flight engineer's query as to whether the Pan Am aircraft had already left the runway, the KLM captain replied emphatically in the affirmative. The investigation also believed that the KLM captain's decision to take off may have been influenced by revised crew duty time limitations recently enacted by the Dutch government. The restrictions were inflexible and highly penalizing to the captain, if exceeded. With a total of 583 fatalities, the crash remains the deadliest accident in aviation history. All 248 passengers and crew aboard the KLM flight were killed. There were also 335 fatalities and 61 survivors on the Pan Am flight.